Next week, Sharon and I will be making our annual fall trek to Schneph's Farm. The little kids in us love this place. We start out with dinner at the chili fest and get a face painting before walking around the place. There is always something different to see every year. 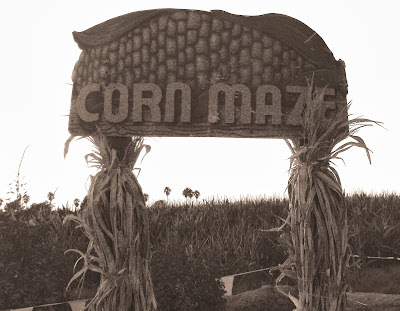 Are favorite activity is running around the creepy corn maze in the dark. With all the dark twists and turns inside, and some creepy monster trying to scare us, we get our fill of a spooky good time. I love photographing the animals, huge sunflowers, the pumpkin patch, and of course inside the corn maze. Come along with us again and we will be sure to post all the festivities this year. You two are too cute! I can't wait to see the pics from this year! HAve fun!